Hair oiling is arguably one of the, if not the best, forms of hair care. It’s also the gentlest on your hair and scalp since it doesn’t contain silicons, preservatives, thickeners, and dyes that weigh down hair strands. Instead, natural oils contain valuable nutrients for the hair such as vitamins, minerals, phytosterols, and fatty acids. Hair oiling is widely believed to have started in India where women wear sari or a traditional garment on their shoulders to cover their hair from elements such as the harsh sun, high temperatures, and dry air. Indian women are also known to reach out for the coconut oil for their skin and hair care. Natural vegetable oils can be used on their own or combined with other oils or blended with ethereal oils or herbal extracts. Hair oiling in countries with a different climate from India is expected to be varied. It can be very tricky to buy any hair product for fine hair as these strands can be so easily weighed down by anything that is put on them. If you do have fine hair, then you may have avoided using hair oil in the past as you may erroneously think that adding oil to your strands will simply weigh them down and cause them to go flat faster. Even though you do have to be careful about what hair oil you choose for your fine hair, you do want to make sure that you enjoy the health benefits of this hair product. You will replenish your hair’s shine and prevent your hair from looking dirty due to the styling products that you need to use to tame your hair and keep it in place. Wavy hair can quickly look frizzy if you are not careful but with the application of the right hair oil, you can make sure that your hair looks great and that your style is under control. One thing that you will want to remember when you are applying hair oil to wavy or curly hair is that the oil will travel very slowly along the strands. This means that you need to help speed up how quickly your hair is treated and make sure that you get enough oil along the entire length of your hair by applying hair oil not only to your roots but also to the ends. A little hair oil applied carefully along the entire strands will ensure that your hair looks healthy, your waves are defined, and they do not begin to look frizzy, appear unkempt, or get tangled. Just as with wavy hair, if you have curly hair, you will want to use a hair oil to keep your curls under control and ensure that they always look the best that they can. It’s important to use a hair oil that is specifically designed for curly hair so that the oil can easily travel along the length of your hair and so that it can smooth the cuticles on your strands and keep your hair from looking damaged and dirty. 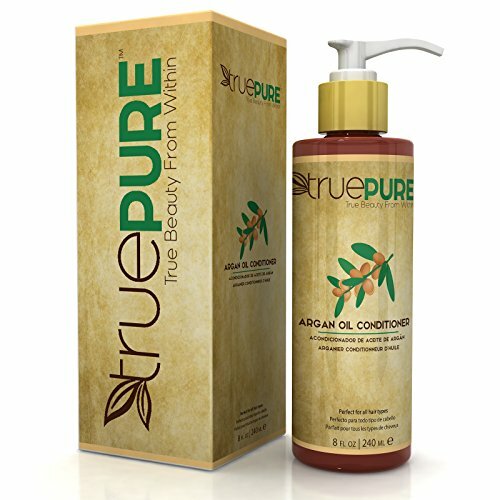 While it can be tempting to skip the hair oil if you have curly hair and already use a number of hair care products to take your curls and keep them looking their best, this product is designed to help keep your strands healthy and combat any of the damage that you may cause with regular treatment and styling. Straight hair has to be treated with the right hair oil so that your strands do not fall flat or look greasy. This is why, if you have straight hair, you will want to make sure that you only use a hair oil that is designed for straight hair. This ensures that when you are finished applying the oil, the treatment will improve the health and appearance of your hair and not cause future problems. No matter if you have very fine straight hair or thicker and coarser hair, if it is straight, then you need to be careful in selecting a hair oil that is light enough to offer you the protection that you need without weighing you down. People who have normal hair can generally opt for any kind of hair oil that they want to use, which makes finding one that you like and that improves the health and appearance of your hair much easier. When you have normal hair, then you do not have to worry about dealing with a specific hair care concern. Just make sure that you understand how to correctly apply the oil so that you get all of the benefits without weighing down your hair. Coarse hair needs to have its cuticles smoothed on a regular basis so that the hair will look as healthy as possible instead of being rough to the touch. If you have coarse hair, then you already know the importance of treating your hair with the right products that will help it look and feel healthier. Opting for a hair oil that is designed specifically for use on coarse hair will ensure that your strands are smoothed and are as healthy as possible. Otherwise, you may be using a hair oil that will be too drying for your hair and this can cause more problems in the future. Dyeing your hair is a great way to adjust your color and style but regularly dyeing your hair can really damage the strands and your scalp. Hair oil may be the exact treatment that you need to improve the health of your scalp and make sure that the cuticles on your strands lay flat and look their best. For this reason, opting for a hair oil that is designed for use on color-treated hair is important. There will be a combination of oils that are chosen to coat the strands and ensure that they are not further damaged by exposure to the sun, wind, or your heated styling tools. With the right hair oil, you can make sure that your color lasts as long as possible and looks great. Using heated styling tools to style your hair every day may be the best way to make sure that you look great but all of that heat on your hair can be very damaging. This is especially true if you use a hairdryer to blow up into your strands as this can cause the cuticles to open and have problems laying flat again. Rather than dealing with dry and brittle-looking hair, when you use a hair oil that is made for heat-styled hair, you can smooth down your cuticles and ensure that your hair looks healthy. Dry hair can really benefit from hair oil as it will help to smooth down the cuticles on the hair, help the hair hold moisture, and improve the way that your strands look. If you have dry hair either from being out in the sun, spend time swimming, or just deal with naturally dry hair, then you will want to use a hair oil treatment that will help you combat the problems associated with dry hair. Rather than living with hair that looks damaged and unhealthy, when you use a hair oil that will add moisture back to your strands and scalp and strengthen your hair, then you can rest easy that your hair will look as naturally healthy as possible. Oily hair is caused by when the glands on your scalp over-secrete how much oil they produce, which can cause your hair to look and feel very greasy. Unfortunately, this greasy feeling is very difficult to wash off and needs to be combated at the source rather than by trying to treat the strands. Using a hair oil may seem counterintuitive, especially if you have spent your entire life trying to make your hair look less oily, but the right product can really help. Hair oil can help to control how much oil is produced on your scalp and can even help by reducing how much oil is left on your hair. Additionally, this hair oil will often help by fighting dandruff that so commonly occurs with people who have very oily hair. Damaged hair needs special treatment in order to look better. When you use a hair oil, you can relax knowing that you are helping to heal your hair and your scalp. These hair oils will not only help to detangle your hair so that you do not cause further damage when you try to brush and style your hair but also can help reduce the likelihood that you will have split ends. 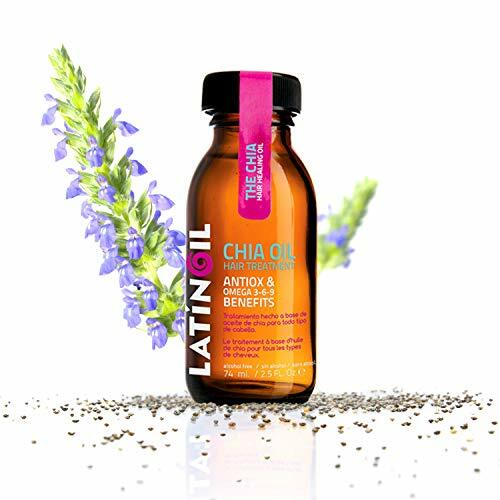 When you choose a hair oil made for damaged hair, then you need to make sure that it is packed with fatty acids that will not only provide the oil with incredible antioxidant properties but also help to strengthen your hair. When your hair is stronger, less prone to split ends, and smooth, then you won’t have to worry as much about it continuing to break and can focus on it starting to heal. One reason that many people turn to hair oil for their strands is to help to soften the coarse texture of their hair. 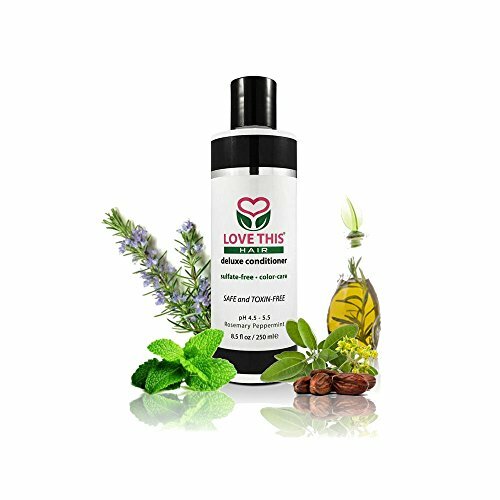 If you have very coarse or damaged hair, then you will want to opt for a hair oil that is specifically designed to help combat the problems that you are experiencing and actually soften your hair. 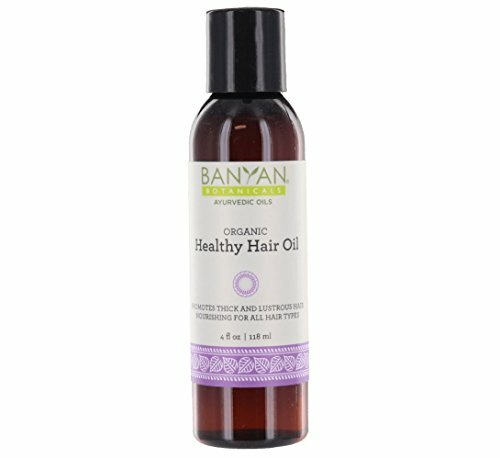 Not all hair oils are designed to soften hair, though many have this as a pleasant side effect, so if you are really interested in improving the feel and appearance of your hair, smoothing down the shafts, and making sure that your hair is touchably soft, then you need to make sure that you opt for a hair oil that is designed for this. 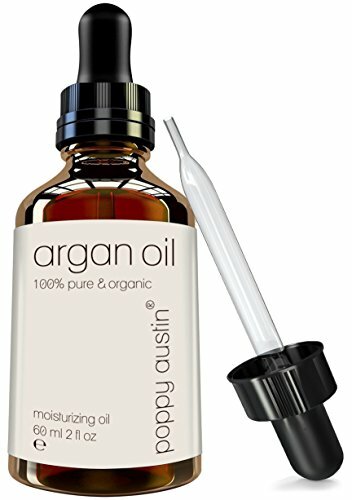 It can be very frustrating to deal with hair that simply won’t grow as fast as you want it to but when you use hair oil that is designed to help stimulate your scalp and encourage hair growth, you will enjoy healthier and longer locks much more quickly than you would if you were to just wait for your hair to grow. 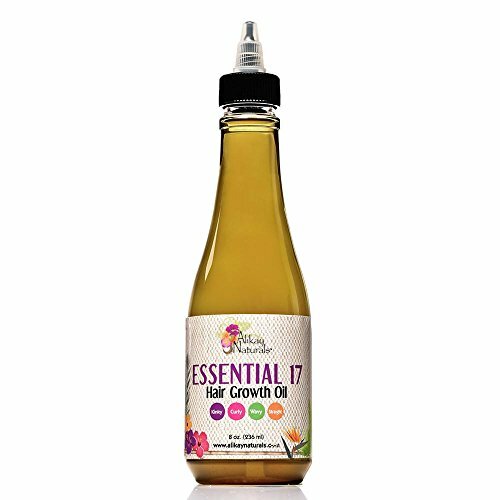 These hair oils generally are a blend of various different oils that have been specifically chosen due to their ability to help encourage and increase hair growth. They are also generally packed with nutrients that will help keep your follicles healthy and may even rely on some natural herbs to help promote growth. 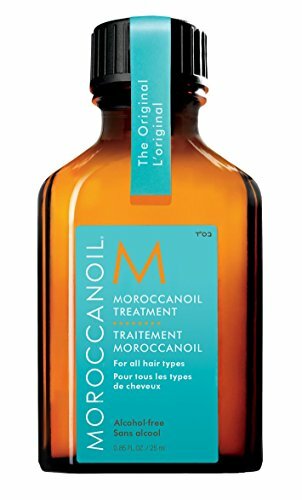 Whether you have a haircut that you regret or simply struggle to grow out your hair, this type of hair oil may be just what you need. No matter how careful you are with your hair and how well you wash it to remove products from the day before, your hair is going to look flat and dull over time. You can combat this, however, with a shine-enhancing hair oil that has been designed to make your hair look and feel healthier. One way that this hair oil will help you enjoy healthier, shinier locks is by causing the cuticle of the hair shaft to actually lay flat. When the cuticle is not flat, then your hair will not look shiny and may look dull and unkempt. By causing the cuticle to lay flat, these products will decrease the appearance of frizz and make your hair look healthier and shinier. Smooth hair looks healthy, which is one reason why people reach for hair oil that promises to smooth strands and make them look softer, brighter, and healthier. If you have frizzy hair, hair that has been damaged due to the use of heating products, or simply has spent too much time in the sun and salt water, then you may want to use a smoothing hair oil on your strands. These oils are packed with vitamins and oils that are specifically chosen for their ability to help smooth strands and cause them to lay flat. With regular use, these hair oils can make your hair look incredibly healthy, smooth, and shiny. This will ensure that your hair looks the best that it ever has. Problems with dandruff can be incredibly frustrating; even if you are happy with how shiny and smooth your hair is, if you have dandruff, then you will want to use a hair oil. Dandruff can be stopped or decreased with the regular use of these hair oils as they are packed with different oils that have been specifically chosen due to their ability to keep dandruff from forming and prevent your hair from falling out. Additionally, the oil will coat your strands of hair, which will protect your hair from pollution, sun, and dust, while at the same time nourishing your scalp and ensuring that your hair has a healthy start when it begins to grow. While parabens are very commonly used in health and beauty products because they are inexpensive, a great preservative, and readily available, there has been a lot of controversy recently about whether or not parabens are safe for use on the body. The main concern is that they can enter the body, travel through the bloodstream, and mimic estrogen. There are a number of studies that show the health problems of using parabens on your body but because these molecules are water-soluble and will wash out of your hair, they are not as large a concern in hair products. However, many people want to avoid any product that has parabens in it because of the chance of them causing health problems. Hair oil is applied to the scalp as well as to the strands of hair and because it will be resting on skin, it’s a good idea to skip any hair oils that contain parabens. This will give you peace of mind that you are doing everything you can to keep your body as healthy as possible. The protein that makes up your nails, skin, and hair is keratin. This protective protein is very hardy and durable and has a number of benefits when it is in products that are used on the body or hair. When you opt for a hair oil that has keratin in it, then you will quickly notice that your hair is much smoother and significantly easier to manage, control, and style. Keratin is able to improve the appearance and health of your hair by smoothing down all of the cells on the outside of your strands. These cells, also known as the cuticle, protect your hair. When they absorb the keratin, your hair will look very glossy, shiny, and full. Additionally, this will make your hair easier to style and prevent frizz from occurring. When you reach for a hair oil that contains keratin, then you will be helping to repair damage done to your strands when you heat-style your hair and help to make your hair more resistant to future damage. 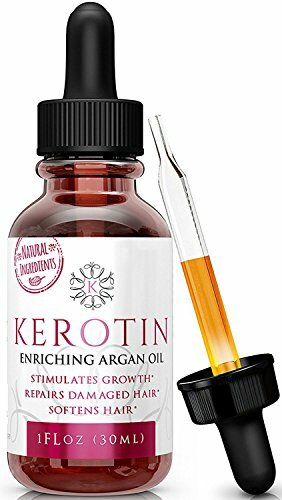 There has been research that links keratin to stronger hair, which is why hair oils with keratin are such a great option for anyone who has fine, brittle, or weak hair and wants to improve its strength and health. Alcohol is very drying to both your hair and your scalp but this ingredient is sometimes still included in hair oil. If you have very oily hair, then this may not be as big of an issue to you. However, if you have dry and damaged strands, then you will need to make sure that you steer clear of anything that has alcohol in it. Even a minute amount can quickly damage your strands and cause them to dry out even more. Using a hair oil that is alcohol-free will help to reduce damage to your scalp and to your strands. People who color their hair or use heated styling tools on a regular basis will need to opt for alcohol-free hair oil as the alcohol can easily increase the damage done to the strands during color treatments and regular styling. Allergies can be a major problem, especially when you are applying a product directly to your scalp and your hair. 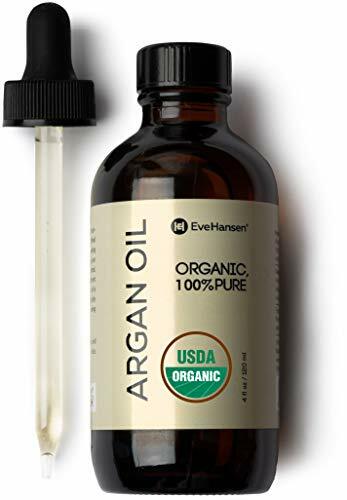 Even if you do not experience the typical allergy symptoms of a runny nose or sneezing, if your scalp is red, itches, or begins to flake after applying a hair oil, then you will want to opt for a hair oil that is hypoallergenic. This will help to ensure that you will not experience these problems in the future when using a hair oil. If you have problems with reactions to ingredients in products, then you will want to spot-test your new hair oil on your skin in a discreet location to ensure that you do not react. Many people who have allergies find that they are exacerbated by fragrances that are commonly used in beauty products. If you do suffer from allergies or issues such as contact dermatitis, it’s important that you choose hair oil that is unscented. This ensures that you are not using a product that will cause you to have breathing problems throughout the day. Another time to consider an unscented hair oil is when you live or work with people who suffer from asthma or may have problems breathing due to your hair products. Employees in healthcare and in child care find that they need to be especially careful to prevent making it difficult for the people they work with and take care of to breathe. Rather than putting synthetic ingredients on your scalp and hair, which may cause a reaction, you don’t need to worry as much about the ingredients in the product that you choose when you opt for a natural hair oil. That’s because natural ingredients are much less likely to cause a health problem when you use the product. If you have ever had an allergic reaction to an ingredient in a hair oil before, then you will want to opt for one that is made of natural ingredients.